From left: Scott Snyder, Brenden Fletcher, Genevieve Valentine, Afua Richardson, Jeanine Schaefer, Ben Applegate. 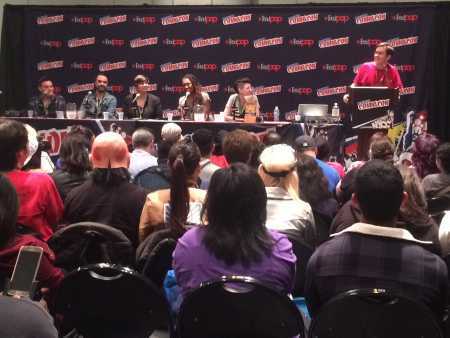 Thursday at New York Comic Con, at our “Biggest Attack on Titan Manga Announcement Ever” panel, we announced the upcoming Attack on Titan Anthology: 250 pages of all-new material consisting of original stories set in the Attack on Titan world by a long list of top Western comics creators. Here's a video excerpt of that panel (note: a CONtv account login is required). 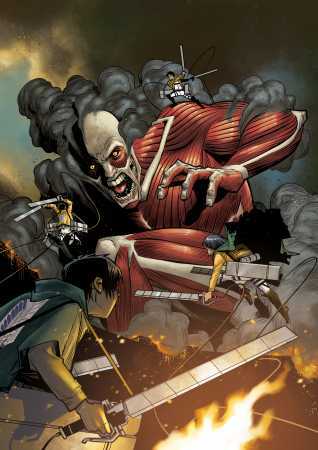 The Attack on Titan Anthology is set to debut in the fall of 2016!